My Friend Tomás is finally here! 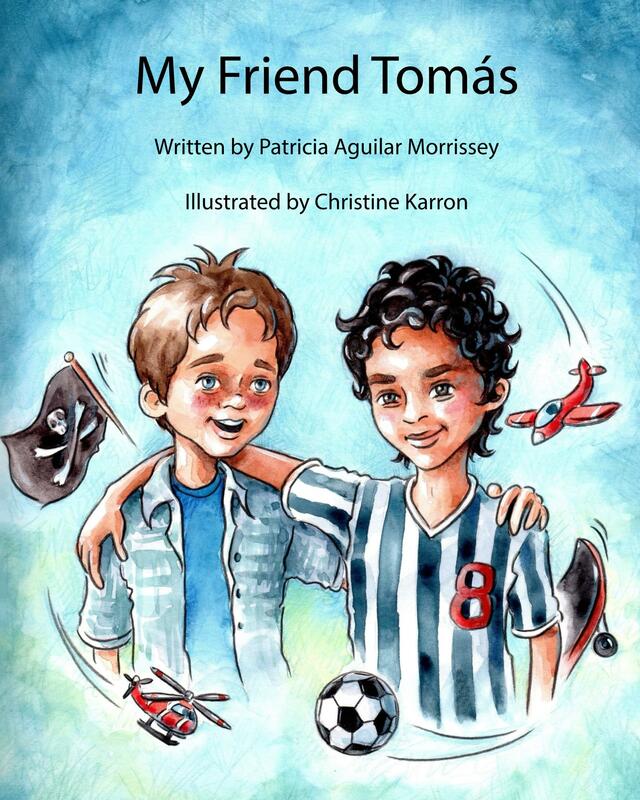 This is a sweet story about two boys with different backgrounds that have many things in common. Follow these boys as they play, build a fort, share a meal and do their school work together. The text is embedded with Spanish words and phrases that are easy to understand plus, there is a handy glossary at the end of the book. Artist Christine Karron provides beautiful illustrations that make the book come alive. A perfect read to shows that differences in culture and language are no match for true friendship and acceptance. 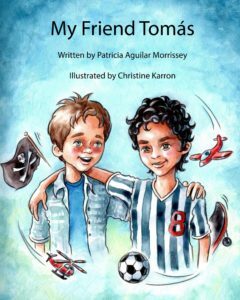 ¡Ya salió My Friend Tomás! 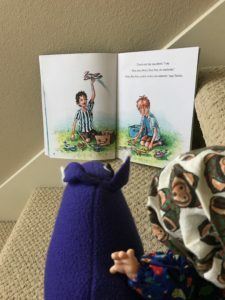 Este es un cuento dulce acerca de dos niños muy diferentes que tienen muchas cosas en común. Siga a estos chicos durante un día donde comparten sus juegos, comidas y tareas escolares. En el texto encontrará inglés y español y un glosario en las últimas páginas. 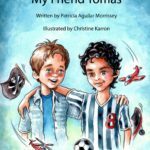 La artista Christine Karron ilustra este libro con acuarelas excepcionales. Un libro perfecto para demostrar que las diferencias culturales y de lenguaje no pueden competir con la aceptación y amistad verdaderas. 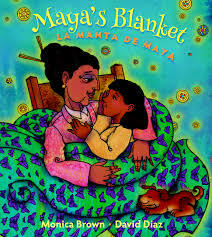 This is the story of a young girl, Maya, who has a magic blanket made by her grand mother. The grand mother and the girl change the blanket into different garments – also magic- that time and use destroy little by little. Finally, the girl has a great idea that will help her keep her blanket forever. This story is based on a Yiddish song. Esta es la historia de una niña, Maya, que tiene una manta mágica hecha por su abuela. La abuela y la niña convierten la manta en otras prendas – también mágicas- que el tiempo y el uso destruyen poco a poco. Finalmente, la niña tiene una gran idea que le ayudará a conservar su manta para siempre. Este cuento está basado en una canción yiddish. Author: Jennifer Torres. Illustrator: Renato Alarcão. What a sweet story! 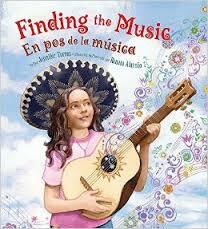 A young girl accidentally damages her grandfather’s vihuela (a guitar like instrument) and goes around town trying to find somebody to fix it. As she talks to other community members she learns about her grandfather and his music. This book is the Lee & Low’s New Voices Award winner. Another great 2015 bilingual book for children. ¡Qué cuento tan dulce! Una muchachita daña la vihuela de su abuelo sin querer y luego, camina por el pueblo tratando de encontrar a alguien que pueda arreglarla. Mientras habla con otros miembros de la comunidad descubre cómo era su abuelo y la música que tocaba. Este libro gano el premio New Voices de Lee & Low. Otro maravilloso libro bilingüe del 2015 para niños.